Do you remember eating lunch in elementary school? The smell of real homemade rolls wafting down the school hallways? Back in the days when the lunch ladies were like your grandmother and the food was like home cooking. 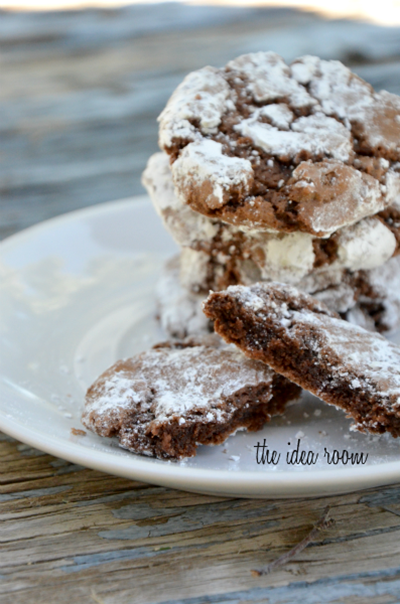 Well, one of my FAVORITE days was the Spaghetti Day…not because of the Spaghetti but because it was always accompanied by a delicious breadstick and my favorites: Chocolate Crinkle Cookies. 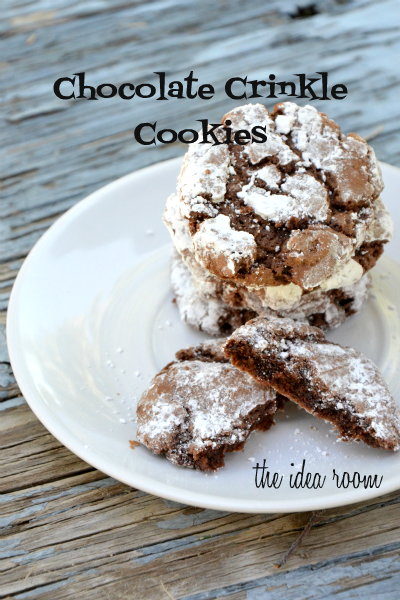 This recipe from Betty Crocker is the closet recipe to those lunchroom cookies that I have found. They are a little bit crispy on the outside, but soft and moist on the inside. The perfect combination in my opinion. In large bowl, mix oil, chocolate, granulated sugar and vanilla. Stir in eggs, one at a time. Stir in flour, baking powder and salt. Cover and refrigerate for at least 3 hours. Drop dough by the teaspoonful into powdered sugar; roll around to coat and shape into balls. Place about 2 inches apart on cookie sheets. 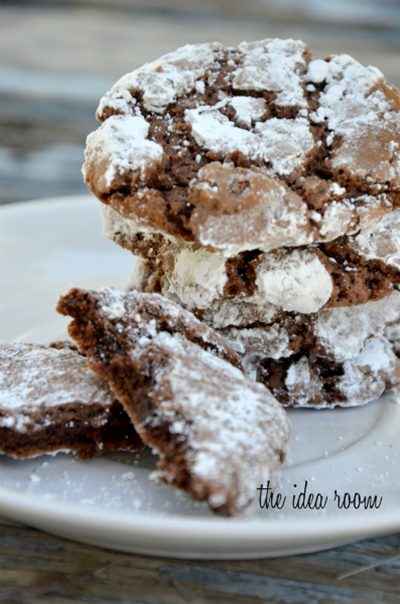 For a printable version of the Chocolate Crinkle Cookie Recipe click on the image below to download it. Did you have a favorite item from the Elementary School menu? Oh man I love these. They are a staple for us at Christmas time. I loved school food. fav dessert was the apple or cherry crisp! Love your site but this is the first time I’ve left a comment…..and it’s about food. I hate to say that I loved that long rectangular piece of pepperoni pizza…with the itty bitty square pepperoni’s on it…how sad is that. The only thing I can remember from my school days….The only day I ate in the lunch room!! Looks absolutely delicious! I reckon I could polish the lot off in 5 minutes flat! Finally made these and they are delicious!